Say hello to the Uuni 3 wood-fired oven, a new improved take on the original Uuni and its follow up, the Uuni S2. The shiny new and updated model boasts a range of design and technical modifications on the inside and out that make it perfect for some outdoor pizza creation. 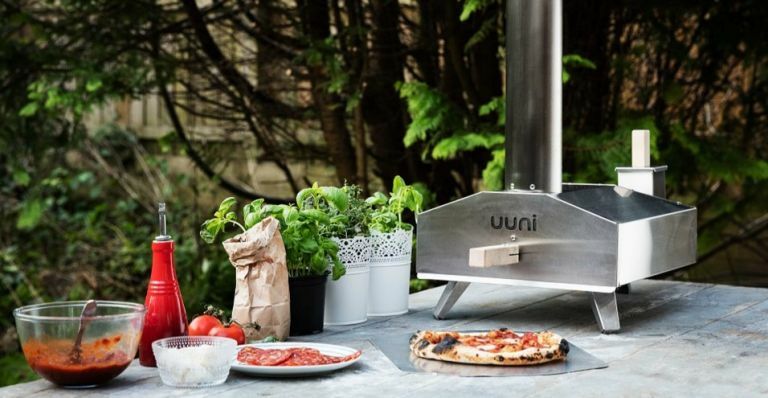 The new Uuni 3 reaches up to 500°C (932°F) in just 10 minutes, and can cook authentic wood-fired pizza in an incredible 60 seconds - 1-2 minutes faster than the Uuni 2S. The patent-pending oven runs on wood pellets which are both energy-dense and inexpensive. The new design has four feet instead of three for great stability, a Grate and Hopper for easier loading of wood and an extra insulation for a superior cooking experience. The stainless steel oven also has a unique new Chimney Lock mechanism, making it easier than ever to pack up for outside use. You can even use the Uuni 3 with the forthcoming Uuni Gas Burner, should you want to add a little versatility to your setup. The Uuni 3 Wood-Fired Oven will retail for £199 and will be available from mid-April 2017. With the watch-focused wonder of Baselworld in full swing, industry veteran Casio has taken to the stage to announce an arm's worth of new timepieces. Some of these watches also feature a new unique bit of tech called Connected Engine 3-Way module, which delivers the world’s first 3-Way time sync system. So what is Connected Engine 3-Way? It's basically Casio's new feature for the most accurate timekeeping you can get. It uses radio wave and GPS satellite time calibration signals as well as a connection to a smartphone to ensure your watch is always up-to-date, wherever you might and whatever the time of year. The tech is being incorporated into the series' new G-Shock, Edifice and Pro Trek ranges, which includes the Edifice Chronograph EQB-800 (celebrating Casio’s partnership with the Scuderia Rosso Formula One team), the limited edition G-Shock MRG-G2000HT timepiece (produced in collaboration with Japanese Master Artisan Bihou Asano) and more. Check out casio.co.uk for more info. American outdoor clothing company Patagonia has turned its four plus decades of experience with insulated materials to the world of sleeping bags and its come up with a new design that's zipped up to the hood with innovation. The Patagonia 850 Down Sleeping Bag comes in two versions, the -7°C and the -1°C, with each one designed for maximum comfort and insulation in situations where the temperature is seriously chilly. Both bags feature a custom footbox pattern that eliminates dead space and bulk, maximises warmth and affords ample room for movement. The -7°C version also has a state-of-the-art differential baffle construction (with no sewn-through areas) and a differentially cut shell/liner keep down lofted to eliminate cold spots. The Patagonia 850 Down Sleeping Bag -7°C is available now starting from £500, the Patagonia 850 Down Sleeping Bag -1°C is also available now, starting at £360.